As Summer NAMM approaches Boss have been eager to unveil their newest products which they have been mysteriously hinting at over the past week. 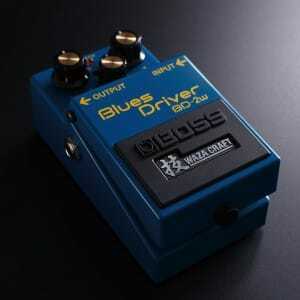 Now the wait is over as they have just confirmed a series of new Boss pedals and Blues Cube amplifiers. The engineers at BOSS have always focused on creating the finest guitar tones using the most suitable technology available – from old-school analogue circuits to high-tech DSP. Even today, our products use both DSP and analogue components, because our philosophy is simply to use the best method to get the job done. Continuing in this spirit, BOSS is proud to announce the special-edition Waza Craft series: three classic Boss pedals built around discrete analogue circuitry. 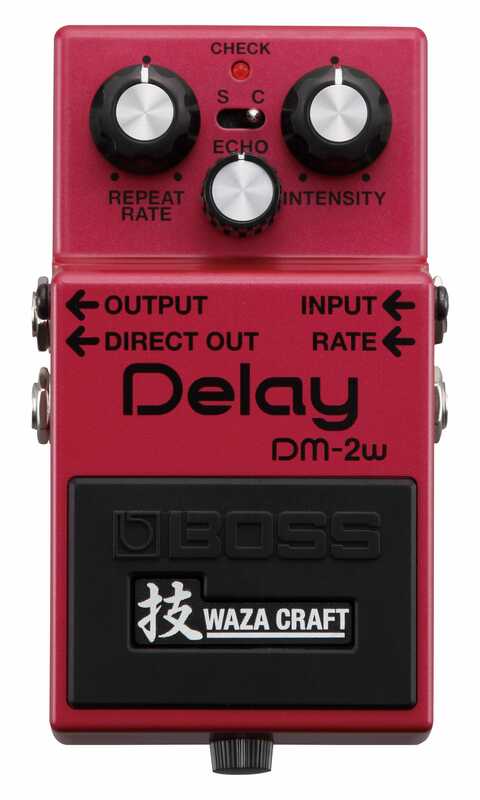 In Japan, “Waza” is the term for art and technique, and these pedals represent the pinnacle of BOSS design and craftsmanship, delivering exceptional tone and touch response throughcarefully-selected discrete analogue components, refined circuitry, and meticulous attention to detail. We are also releasing two new Blues Cubes amps: Blues Cube Artist (80W) and Blues Cube Stage (60W) which offer authentic tube tone and response. 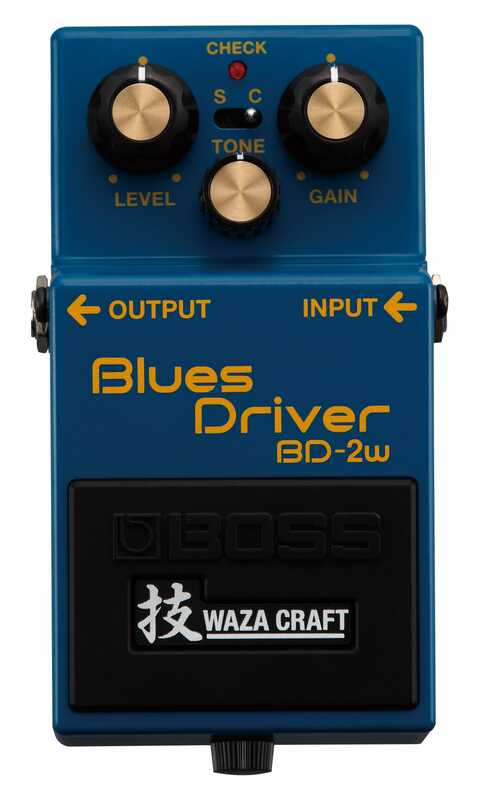 Passionately designed by the master engineers at BOSS in Japan, the Waza Craft BD-2W delivers a premium stomp experience that fans of customised pedal tone will love. Crafted with an ear for highly refined sound, the BD-2W takes the classic Blues Driver grit to a new level with all-discrete analogue circuitry. 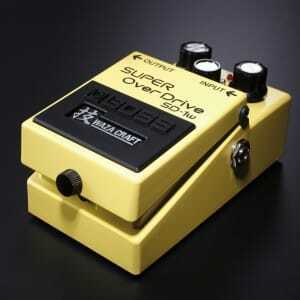 Standard mode captures the classic BD-2 tone while Custom mode delivers new body and sustain. Since the beginning, the engineers at BOSS have been committed to achieving the finest guitar tones using any technology necessary, from old-school analogue circuits to high-tech DSP. Continuing this enthusiastic spirit, we are pleased to introduce the new Waza Craft series. 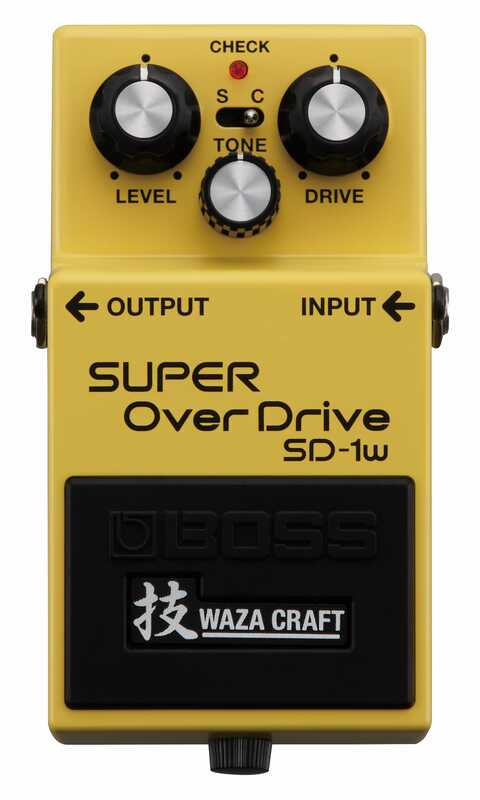 In Japan, “Waza” is the term for art and technique, and these special edition pedals proudly carry the Waza symbol to represent the pinnacle of BOSS design and craftsmanship. With final sound approval carried out by BOSS in Japan, the Waza Craft series brings you exceptional tone and touch response through carefully-selected analogue components, refined circuitry, and meticulous attention to detail. 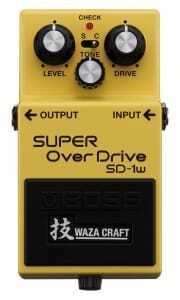 Passionately designed by the master engineers at BOSS in Japan, the Waza Craft SD-1W Super Overdrive delivers a premium stomp experience that fans of customised pedal tone will love. Crafted with an ear for highly refined sound, the SD-1W hot rods the famous BOSS overdrive with all-discrete analogue circuitry. Standard mode captures the classic SD-1 sound while Custom mode offers new tonal range and gain. 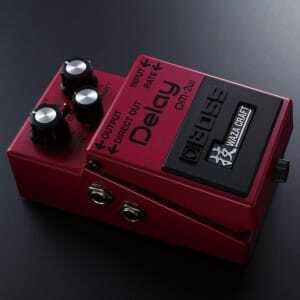 Ever since being discontinued way back in 1984, the BOSS DM-2 Delay pedal has remained highly sought after by players everywhere for its warm, “bucket brigade” analogue delay tone. Now, the DM is back! With the Waza Craft DM-2W, the coveted stomp has been reborn with switchable sound modes and greater versatility for today’s music styles. Using 100-percent analogue circuitry, the DM-2W’s Standard mode nails the lush sound and 20-300 ms delay range of the original DM-2. 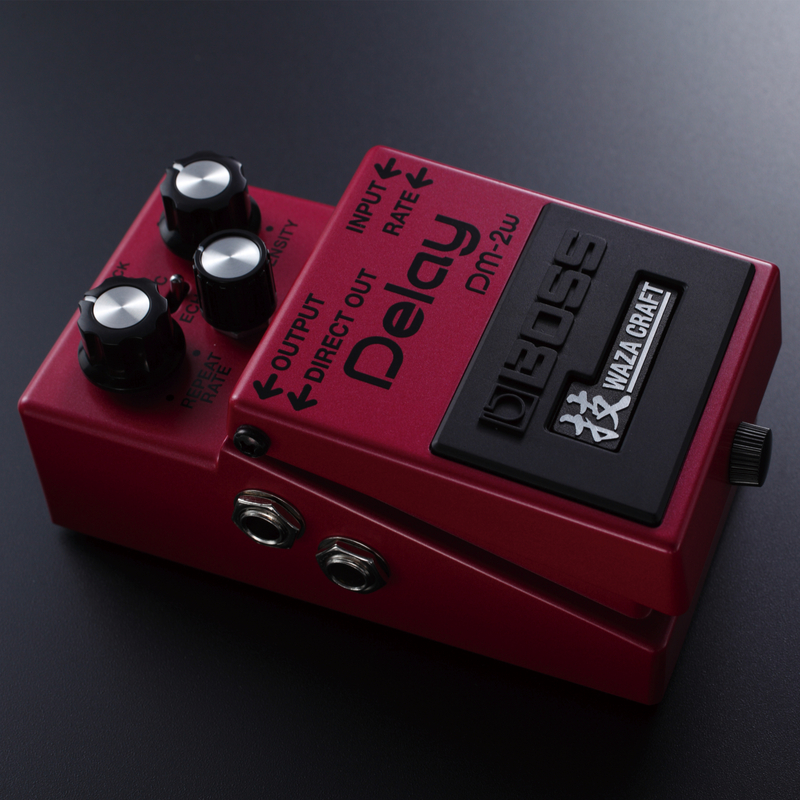 Flipping into Custom mode instantly changes the sound character to a cleaner analogue tone with over twice the available delay time. The reinvented Blues Cube series launches the classic 1×12 combo amp into a new era, combining genuine tube sound and response with modern reliability and easy portability. Going far beyond modelling, Roland’s Tube Logic design philosophy starts with carefully reproducing the inner workings of the revered tweed-era tube amp in every way, from guitar input to speaker output. Versatile clean and crunch channels can be used independently or combined for a complex range of tones, while variable output power modes let you dial in burning, full-throttle sound at any volume. Road-tested and fine-tuned with feedback from top players, the gig-ready Blues Cube delivers the sweet, magical tone and satisfying feel that makes a great guitar amp a highly expressive musical instrument. Warm, bouncy, responsive, dynamic, elastic…these are all terms that guitarists use to describe the satisfying experience of playing their favourite tube amps. Thanks to Roland’s Tube Logic, these words can be applied to the Blues Cube Stage as well. 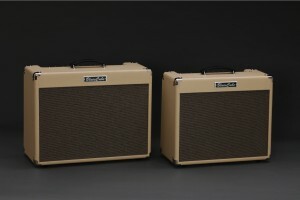 Dramatically evolved from the first-generation sound of the original Blues Cube amps from the ‘90s, today’s Tube Logic accurately provides the complex, highly interactive behaviour of classic tube designs in meticulous detail, providing the magical “it” factor that takes a guitar amp from a simple sound system to a living, breathing musical instrument. Great feel, distortion control with touch and volume, bloom, sparkle, power supply “sag,” and more—everything that players love about a finely tuned vintage tube amp is present in abundance with the Blues Cube. The Blues Cube Stage has two independent channels—one voiced for cleaner tones, and the other for crunch. Each channel has its own Boost and Tone switches to shape the character. The Clean channel’s single volume control dials in natural tube fullness and bite as the volume is cranked, while the Crunch channel’s variable gain control provides a range of grit flavours from mild to aggressive. With the press of a switch, the unique Dual Tone mode lets you blend both channels together for an endless array of rich tones. And just like a vintage tube amp, the Blues Cube loves stompboxes, allowing you to further shape your personal sound by hitting the amp’s front end with your favourite gain pedals. The Blues Cube Stage features onboard reverb, and the rear panel is equipped with a footswitch jack for remote switching of channel selection and Dual Tone mode. And with the USB jack, it’s simple to capture the Blues Cube’s rich tones directly into your favourite computer recording applications.